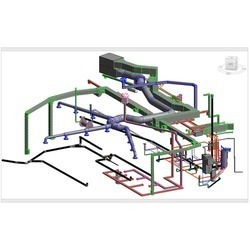 Revit MEP is an advanced, powerful engineering design and documentation packing covering the disciplines of HVAC, plumbing, piping, and electrical design. This course contains a comprehensive introduction to the methods, philosophy, and procedures of Revit MEP software. Preferred Time Slot: 10 A.M. TO 6 P.M.
CADLearning for Autodesk® Revit® MEP offers training and tutorials for users to gain a better understanding of the building information modeling (BIM) features and functions used by mechanical, electrical and plumbing systems designers. Autodesk Revit MEP training course, you will learn the tools and techniques for using this building information modeling software for mechanical, electrical and plumbing design. Similar to AutoCAD MEP, Autodesk Revit MEP product is targeted at mechanical, electrical and plumbing engineers. However, the Revit MEP product focuses on building information modeling (BIM) and offers built in tools for systems design and analysis. oftware for mechanical, electrical, and plumbing (MEP) engineers supports more accurate and efficient building systems design projects from concept through construction. - Design building systems more accurately using coordinated, consistent information inherent in the intelligent Revit MEP model. Combining our technical expertise with hands-on industry experience, we offer Revit MEP Basic, Revit MEP Advanced and Revit MEP Families courses to students and professionals. Our company has been successful in winning appreciation as one of the most prominent names in offering Revit Mep Training Course . Features for MEP engineeringRevit software provides mechanical, electrical, and plumbing (MEP) engineers with tools to design even the most complex building systems. 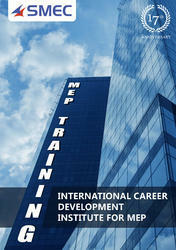 We are a renowned name, which is engaged in offering MepTraining Courses .